Every snap upgrade comes with 2 sets of durable silver snaps, placed 1" apart. This allows you to close your bandana at 3 different lengths. For example: snaps are set at 14" and 16", your bandana will close at 14",15" and 16". 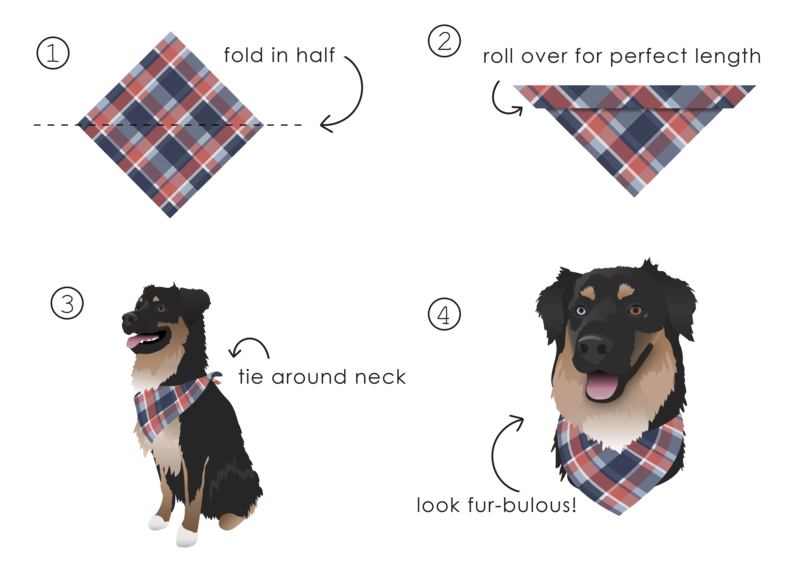 Snap on bandanas will be cut to size to prevent bulky fabric on the back. Do you have any questions about sizing? Don't hesitate to contact us! * Please note this is an ADD ON and bandana(s) have to be purchased separately. Want snaps on 2 different bandanas? Make sure to purchase 2 add ons and leave a note with which size has to be added to which bandana. If we don't have this information, we will reach out to you but you might run the risk of your order being delayed.